Cosmological maps represented a culture's place in the cosmos, in relation to religion or mythology. 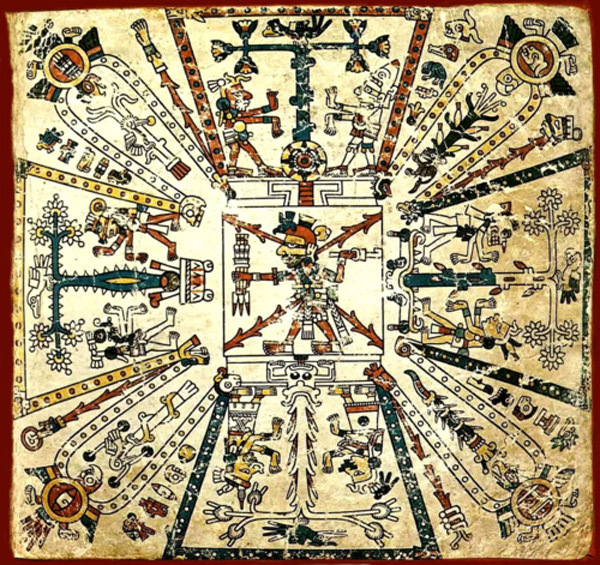 This map is called the Codex Fejervary and was used by the Aztecs in the 14th-16th centuries. This map showed the Aztec's world in five different directions, North, South, East, West, and Central. This was put into the Aztec's calendar and followed religiously. This was just one of many diferent kinds of cosmological maps. Each different group of people had a type of cosmological map for themselves.